FREE 8x10 Portrait at J.C. Penney (4/16 Only)! You are here: Home / FREEbies / FREE 8×10 Portrait at J.C. Penney (4/16 Only)! 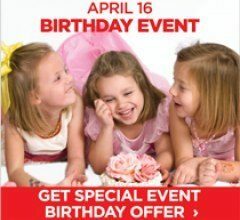 FREE 8×10 Portrait at J.C. Penney (4/16 Only)! Have you been wanting to get updated family pictures taken? Here’s a deal you’ll want to take advantage of – tomorrow only, you can get a FREE 8×10 Portrait at J.C. Penney with no sitting fee! Just take this coupon with you to get your FREE portrait! Remember, this is valid TOMORROW, 4/16 ONLY!